The quickest way to recruit. Find latest jobs & yachts. All crew documentation is vetted in accordance with MLC2006 guidelines and only those meeting the requirements become YOA Approved. YOA is an MLC accredited platform. See candidates mutual connections and get referrals from people you know and trust. Only receive applications from candidates who meet your strict requirements. Remove, approve and update candidates with automated emails, fast and efficiently (without giving away your personal contact details). Post job vacancies by showcasing your yacht profile to attract the desired candidate or do so anonymously. 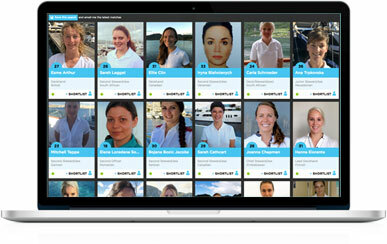 Headhunt, shortlist and contact candidates with unlimited access to the crew database. We also offer traditional placement services and will head hunt crew for you using our unique techniques. YOA is an up-to-date source of reputable yachts that you can contact with direct when they are searching for new crew. Your YOA profile is your professional digital CV that grows with you as your career does. No one is more passionate about you finding work than you are. We allow you to showcase your personality by uploading multiple images and videos to help you stand out from the crowd. YOA links you with people you know in the industry creating your own professional network. Keep your profile as public or private as you like when you job search. 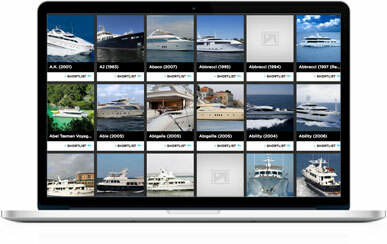 Only verified yacht representatives can view your full profiles. 55-60m Motoryacht currently on a world cruise. Experienced CHIEF STEWARDESS required on 40m+ motor yacht. "Yachties before yachties were a thing..."
"YOA is the easiest and most enjoyable platform I’ve worked with when searching for new crew. Having direct contact with the candidates’ and being able to get all their information instantly saves so much time. I flew my new crew member across the world, and paid for their B1B2 and accommodation, and it still didn’t amount to anything near to just a crew agency fees alone!" "...employed two crew from YOA. I really liked it and will not use an agent again." "YOA is a breath of fresh air and just what we needed. The yachting industry is saturated with agencies and job/crew search websites, all bearing pros and cons. It’s pretty overwhelming no matter who you are; green crew, seasoned crew or a captain looking for crew. YOA is a beautifully simplified combination of all the good aspects of everything else out there. The site is incredibly user-friendly, it’s obvious that the designers and developers took everyone and everything into consideration. Creating and updating your profile takes only minutes, your network is created for you, the design allows your information to displayed in the smartest and most visually pleasing manner and best of all, there is no middle-man. I have used YOA for both job and crew search and it will definitely be my go-to from now on." “I started working with YOA while the vessel was still under construction. I advertised for all our crew on YOA and at the same time I placed adverts with other agents. The quality of candidates received via YOA was consistently higher and they were better suited to our very specific requirements. The whole recruitment process at YOA far exceeded my expectations. In the future I will only be using YOA." "I was recommended by a friend to use YOA. I may have been thinking the same as you are right now. Oh no, here’s another agency to join. This is definitely not the case! YOA has one of the smoothest account creations and has many easy to use and smart functions. This is one site you can not fault. I have found myself using YOA for my personal adventures and even found crew for the vessel I am currently on.Earlier in the year ‘Deniki’ was looking for a replacement deckhand. Within a few days I was spoilt for choice and had an abundance of C.V’s, people just like yourself, to choose from. YOA is a site I plan and will continue to use and I hope you all do too." Help us help support those in need. We donate a percentage of all subscriptions to the great team at YachtAid Global.